Individuals: Our goal is to support your journey to wholeness and integration. We strive to help both men and women improve the quality of their lives and to live life passionately. Couples: Our special interest is in helping couples create passionate relationships! We help couples identify specific conflict themes and learn how to use these conflicts to heal childhood wounds, which promotes self-growth and increased relationship intimacy. Weekend Intensives: For individuals or couples who are unable to fit regular counseling sessions into their busy schedules, we provide weekend intensives with as many scheduled counseling sessions as you feel necessary. Weekend Intensives provide safe and enriching opportunity for individuals/couples to work through particularly difficult issues and/or crisis in a short period of time. Advanced scheduling is recommended. Groups: We currently offer several exciting men's and women's groups. 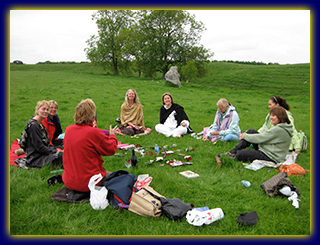 Our unique group format provides a safe and enriching space where men and women may embark on their journey to self-discovery and a dynamic place to seek the support of like-minded people on the same journey. We work one-on-one with individuals to help them realize new possibilities for their personal and professional lives. We help bring out the potential in you by matching your inner strengths, values, and interests to your outer goals, to transform possibilities into reality. Coaching provides the structure, tools, resources, and support you need to be successful and to realize your vision for your life. We keep you on track, energized, and moving forward, creatively overcoming obstacles and celebrating successes. We assist beginning counselors, therapists, coaches, educators, and other allied professionals in establishing a private practice, one that is in line with their interests, values, and strengths. We also assist established practitioners in creating an ideal, thriving practice. We offer training and workshops in these areas as well as professional development and leadership, and a host of other related topics. At The Mandorla Center, we provide you with a positive and enriching space that allows you to begin your journey to wholeness, integration, and new possibilities. We take a holistic mind-body-spirit approach, which addresses your unique needs and situation. You will not have to make this journey alone. While courage and motivation are required, you will be accompanied by knowledgeable, experienced, and caring professionals who will help you create, implement, and manage change in your life and work. Such self-discovery, integration, and wholeness will lead you into balance, passionate living, and the fulfillment of your true potential. We welcome you into the Mandorla experience and celebrate your journey into wholeness!